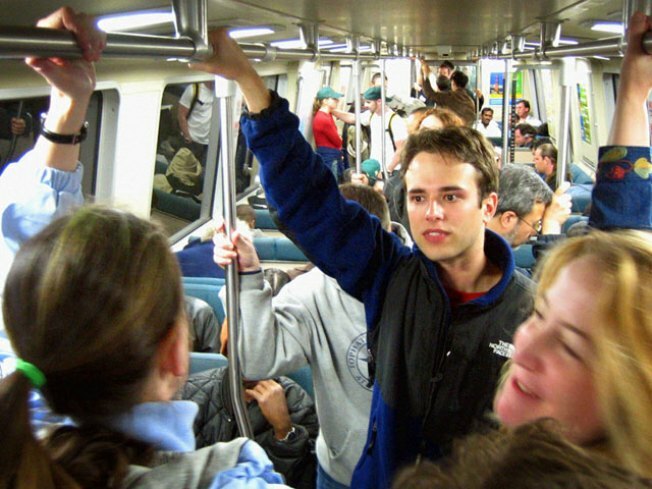 BART will probably be crowded this week. BART really really wants you to like it. The Bay Area transit agency is putting money and free gifts where its heart is. BART is offering free rides, thousands of dollars worth of gifts and even Giants' playoff tickets for those willing to get on board the train. Monday officially kicked off "Try BART Week," where the agency does all it can to increase ridership. Through Friday BART will lengthen train run times, partly to accomodate a rush of Giants' bandwagon jumpers as the team faces off against the Phillies starting Tuesday. The agency is also giving away tickets to watch the Big Game between Cal and Stanford and $2,500 worth of free BART tickets, just to name two of the many prizes that total up to $60,000. Entering to win is simple. Simply right BART next week and wait for the word of the day to flash on one of the station message boards and text it back to the agency. For more information on the promotion, visit BART's blog.